There may be some scenarios where you need to manually create accounts on behalf of applicants. Perhaps you need to create these accounts ahead of time in order for these applicants to use later. Or you are manually moving submissions from another platform and you would like the imported submissions to be tied to these individual's accounts. 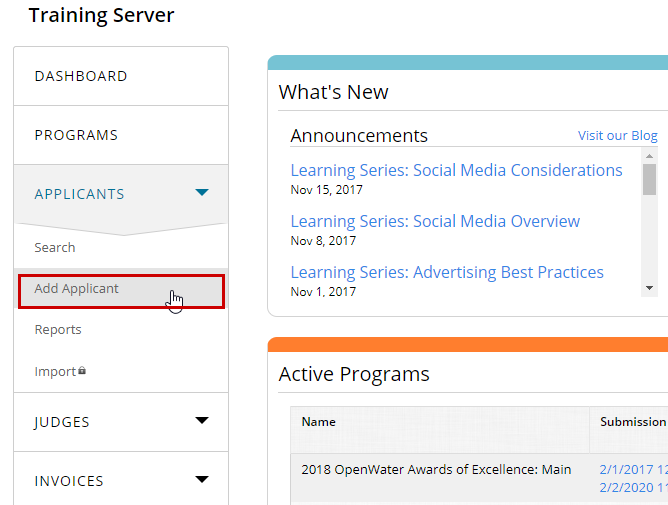 To manually add an applicant, click Applicants in the left side navigation and then click Add Applicant. 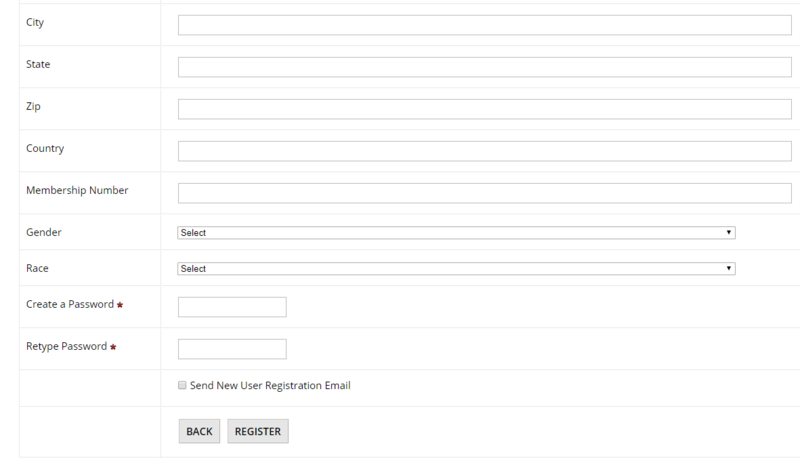 Complete the desired fields of their user profile, set a password, and optionally check to email the applicant that their account had been created.